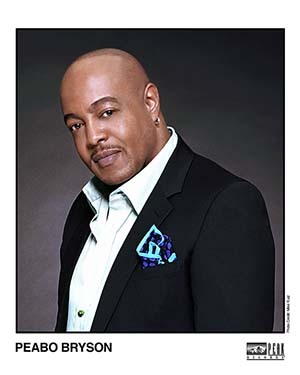 Peabo Bryson, Multi-GRAMMY Award Winner, serenaded guests with his gifted vocal talent, amazing voice the 29TH Annual Gourmet Food & Wine Festival, on Saturday, August 1, 2015 on the grounds of American Honda Motors Co., Inc.
“Evening Under The Stars” South Bay tradition offered an incredible evening of the South Bay’s best cuisine and more than 80 varietals of wine, everything for the purpose of raising funds for non-profit Torrance Memorial Medical Center. “Evening Under the Stars” is a signature summer event, officially a community tradition to celebrate the best in South Bay premier restaurants, wineries, auction donors and musical entertainment while raised funds for nonprofit Torrance Memorial Medical Center. American Honda Motors, Co., Inc. once again selected Torrance Memorial Medical Center for the tenth consecutive year to benefit this longstanding tradition and bring world class health services to the community. The festival partnership was with the Torrance Area Chamber of Commerce. The event has raised more than $1 million for Torrance Memorial. Last year nearly 1,000 community members attended, with $130,000 of the evening’s proceeds donated to Torrance Memorial. Guests enjoyed the festivities and had the opportunity to participate in a silent auction for exclusive items and experiences, that included entertainment packages, sporting events and memorabilia, dining, travel, local outings and specialty items. Volunteers worked so hard to make an excellent evening of success and enjoyable, where guests had the opportunity to socialized, made new friends, tasted great wine and fabulous food. Special Thank you to Karin Baker and Kacey Takashima-Ahn from American Honda and Donna Duperron from the Torrance Area Chamber of Commerce, who put together such a great team for a fantastic cause. More than 700 community members attended this year, with $150,000 of the evening’s proceeds donated to Torrance Memorial. Approximately 80 varietals of wine was served as well beer. The finest restaurants participated serving their delicious food. Guests enjoyed an amazing afternoon with music, food as well a silence auction with great items. In 1925 Torrance Memorial Medical Center was founded by Jared Sydney and Helena Childs Torrance, Torrance Memorial Medical Center is a locally governed, 401-bed, non-profit medical center established to provide quality healthcare services, predominantly to the residents of the South Bay, Peninsula and Harbor communities. Torrance Memorial seeks to offer the most current and effective medical technologies rendered in a compassionate, caring manner. In 2012, it joined the ranks of the top hospitals in the nation by earning coveted Magnet® recognition from the American Nurses Credentialing Center, which recognizes nursing excellence. For more information please visit: www.TorranceMemorial.org. American Honda created the Gourmet Food & Wine Festival in partnership with the Torrance Area Chamber of Commerce in 1987 as a way to bring corporate business, residents, and local commerce together with city officials for a relaxing community celebration full of fun. American Honda is one of the world's leading producers of mobility products including its diverse line-up of automobiles, motorcycles and ATVs, power products, and marine engines. Over 90% of Honda and Acura vehicles sold in the U.S. are produced in North America, using global and domestically sourced parts. Honda is committed to supporting the communities where we work and live. Through a broad range of community initiatives, charitable giving, foundation grants, and volunteerism, we seek to create value for society and bring joy to people’s lives. The Torrance Area Chamber of Commerce and The Gourmet Food & Wine “Evening Under The Stars’ Festival Committee warmly acknowledge American Honda and its Corporate Community Relations Department for hosting this extraordinary event. Special recognition to the teams in America Honda’s Corporate Facilities Department along with the many other associates and volunteers whose efforts brought this event to the next level of excellence! BUZZ OF LA: Thank you to American Honda Motors, Co., Inc., Torrance Memorial Medical Center and Torrance Area Chamber of Commerce for the opportunity they gave us to cover such an amazing event and we look forward to covering the 30th Annual Evening Under the Stars 2016.